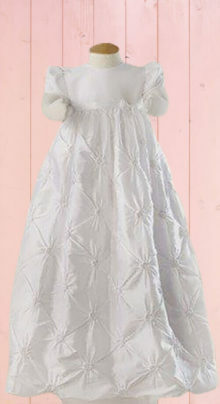 Gathered rosette taffeta skirt with simple bodice and sheared sleeve. Ribbon trim on front bodice with self tie in the back with three button closure makes this a most unique Blessing or Christening dress. 100% Polyester. Soft tricot and chiffon gown has matching embroidered bodice and coordinating 4 1/2″” chiffon, daisy lace trim at empire waist and around the bottom. 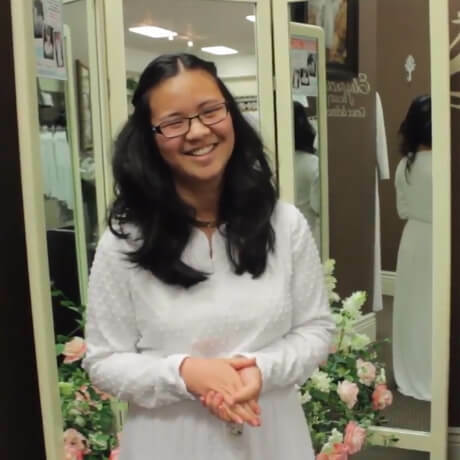 Beautiful LDS Blessing dress or Christening gown. Back button closure. Polycotton. 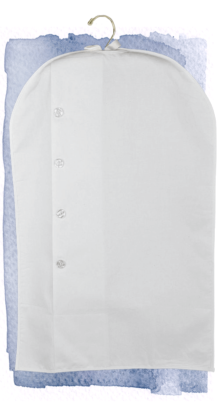 *Polycotton *Hand wash/drip dry. *Made in USA *Sizes: NB, 3 mo. Fully lined organza dress accentuated with venise lace and satin ribbon across the bodice. Sleeves are trimmed in coordinating satin. A beautiful LDS Blessing dress to keep for generations. Be sure to include a preservation bag. Back button closure. 100% Polyester. Nylon tricot gown with embroidered bodice, satin ribbon at empire waist with tiny satin flower. Gown is lined with a lightweight taffeta. Button back closure. 100% Polyester. Beautifully simple, organza gown accentuated with wide satin ribbon at bodice and on the skirt bottom. Includes separate slip. Three button back closure. 100% Polyester. 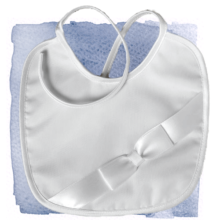 Protect that investment in your baby’s heirloom LDS Blessing or Christening dress with an equally beautiful bib. 100% Polyester. Simple white, satin covered headband is perfect for any White Elegance clip bows and flowers. 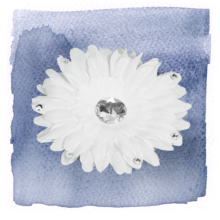 4 1/2″ Sheer daisy clip with rhinestone center. 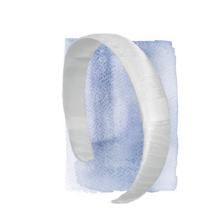 Wear alone or clip on a White Elegance headband.